If there's one brand that has gained unanimous love in the blogging world, it's Real Techniques. Designed by the original beauty vlogging duo, Pixiwoo, those colourful brushes are staples in most makeup routines for only a small dent in your bank balance. 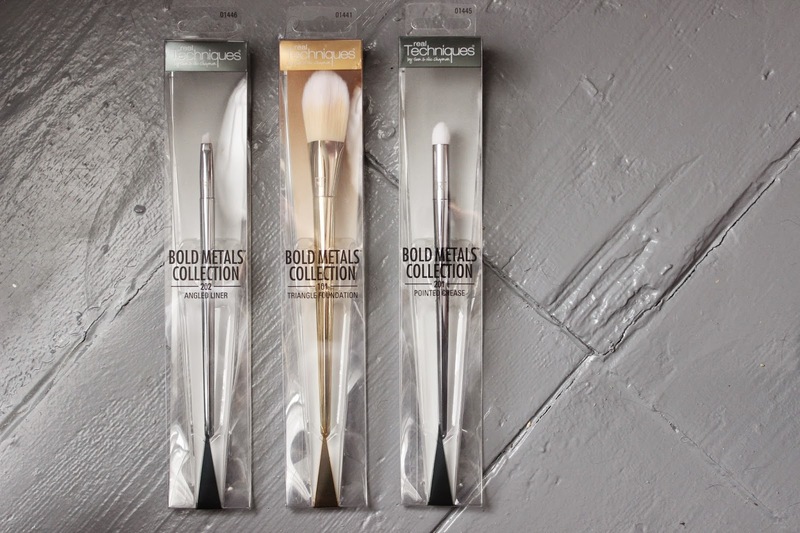 So naturally everyone (myself included) went a bit barmy for the new Real Techniques range, Bold Metals. I was lucky enough to go to the rather swanky launch party and hear all about this more high end, professional branch of the brush franchise from Sam & Nic themselves, so thought it only fair that I report back to you. Let's start by swooning over the gold, silver and most importantly, rose gold casing. Seriously Instagram friendly factor- tick. These stunning metallic handles are also longer, weighted for easy handling and have square edges so they don't roll off dressing tables, making them perfect for busy makeup artists. The whole finish of these brushes is just incredibly luxe, with each set of ultra soft bristles hand tied to create the highest quality result. The range of styles is also more advanced than your standard set of RT's with the likes of Arched Powder and Flat Contour. But whilst these might sound a bit advanced and designed for people in the industry, don't let that put you off purchasing- I've got the Triangle Foundation, Pointed Crease and Angled Liner brushes and have already found a solid place for all three in my collection. The foundation brush is unlike any other I've used to apply my base- more of a traditional shape than the buffing brush I normally reach for, this applies foundation onto the skin in a very precise fashion, creating an undetectable, flawless finish with the tapered tip allowing you to cover those tricky small eye/nose areas. The eye brushes are just as effective, with the dense 201 being perfectly formed for packing powder shadow into the crease and 202 working to create varying levels of definition around the eyes using shadow or liner. They're just the kind of duo you need to create more detailed eye looks. Little foamy sponge and useless brush that comes with gel liner pots be gone! At £10-25 these brushes are pricier than the original Real Techniques range, but still cheaper than MAC and incredibly worth your pennies for both professional finish and looking instagrammably pretty. Have you discovered Bold Metals? They are so pretty! Such a big jump in the price from the original real techniques brushes. Will hopefully invest in these soon. I still haven’t picked any of these up yet. I have so many brushes and I’m trying hard to save this year... although I’m sure one brush won’t hurt! 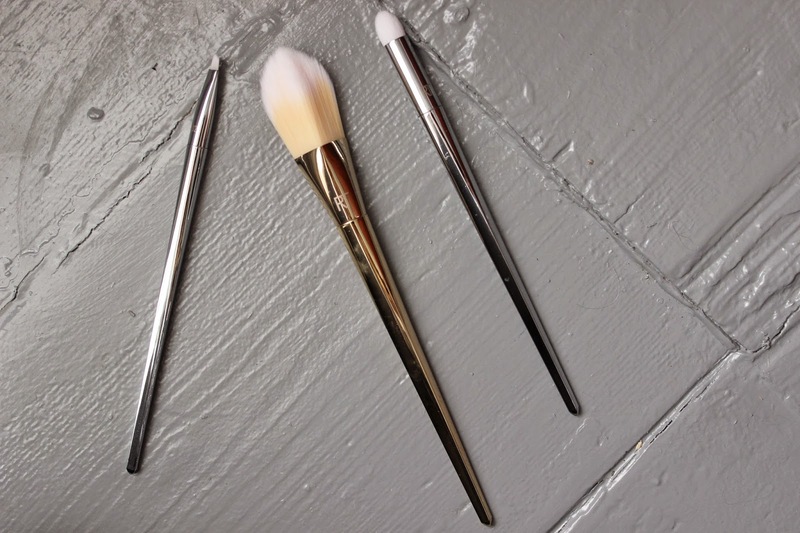 These brushes look so lovely! I know these brushes are gorgeous, but the price of them puts me off a little!